Rabbit pregnancy lasts approximately one month. If you know when your doe was bred, you can estimate her delivery date. It's not unusual for owners to not realize a bunny is pregnant until they find her with the babies. It takes a bunny less than half an hour to deliver her kits, so watch your rabbit carefully for the impending birth. 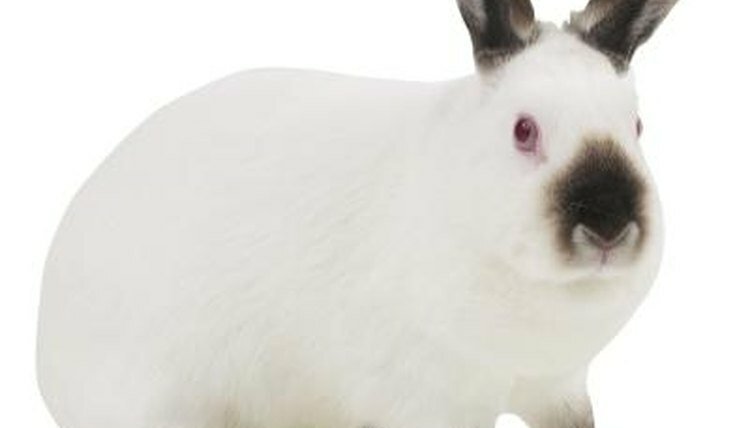 Approximately 24 to 48 hours before delivery, your pregnant rabbit will likely stop eating. She might also appear restless and nervous. Generally, rabbits give birth in the wee hours of the morning. If you know your rabbit is pregnant, put a nesting box lined with straw in her cage around the 26th day of her pregnancy. Place it in an area that she doesn't generally urinate or defecate. If she does eliminate in it, clean the box, replace the straw and put it in another area of the cage. When she starts pulling out her fur to line the nest, she'll probably deliver within the next 48 hours. Rabbit kits arrive rapidly, one after the other. Don't bother your bunny or touch the babies during the process. However, if it take more than an hour for the rabbit to deliver all of her babies, something is wrong and you should take the doe and the kits to the emergency vet.